Managed Unified VoIP Telecommunications, CRM, Cloud Infrastructure & Data Security. Where every client's missions are critical. We ensure your business continuity is invictus. Licensed, bonded, $2,000,000.00 warrantied. "Welcome aboard, relax, and get back to business." "Where every client's missions are critical." -- your SOCOM secure cloud infrastructure pilots. Designed, provisioned and managed Unified VoIP Telecommunications, CRM, Cloud Infrastructure & Data Security; 501c3, Government, Military, Banking, ISDs, Healthcare and Legal Networks. SOCOM Systems is “not” just another managed global voice aka unified telecommunications company. Yes, we do offer extremely easy to understand, competitive, local and global voice services; but much more as well. Our company mission is a concise yet totem approach. SOCOM covers the gamete of practically every basic company technology need in today’s convoluted and unpredictable internet connected world we live in today. We cover the four corners of every business need: Communications, I.T. Infrastructure, Bookkeeping and Legal. Providing iron clad security and privacy encompasses not only each corner and governing compliance requirements, but empowers lives. Additional service offerings consist of cloud infrastructure, office environments, ecosystems, consulting, provisioning, and management with data centers in Dallas, Chicago, New Jersey, Atlanta, Miami, Seattle, Silicon Valley, Los Angeles, London, Paris, Amsterdam, Frankfurt, Tokyo, Singapore and Sydney. Wireless services, internet connectivity, intranets, virtual private networks, cyber defense, data security, as well as streamlining businesses workflows providing customer relationship management systems, internet marketing and web presence. For those with on-site needs, SOCOM has boots on the ground available at a moments notice, hands-on managed services. With a beyond the best of breed standards of 99.999% up-time voice network, SOCOM is a GLBA, SOX, HIPAA and 911 Call Center regulatory compliant company. As a tier one network in the industry, SOCOM’s regionally layered redundant architecture and device health monitoring abilities are unlike any other VoIP providers. Click to view our easy to understand telecommunication service offerings. Here at SOCOM, every principle holds recognized career accolades and BBAs and/or, MBAs and PhDs. Simply put, our people make SOCOM what it is today, providing you affordable and empowering services. Do you need voicemail to email? Let us custom build your solution. From basic telephony to a more advanced unified communications platform, SOCOM scales with your enterprise. Keep it secure simply. SOCOM knows education. We are certified by the FCC, have our spin number and provide the best value in communications. specific needs of schools in mind. We deliver what education needs. SOCOM participates in the Rural Healthcare program and the newer Healthcare Connect Fund program under the USAC umbrella. All sizes of Government benefit from the advanced unified communications platform offered by SOCOM. Our security can't be beat. fit your unique security requirements. Is your communications platform GLBA and SOX compliant? The SOCOM unified communications platform is based on simplicity and security. At SOCOM we believe in a global super economy. 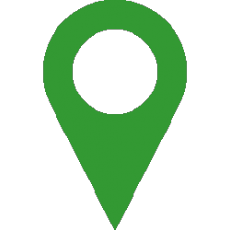 Let us help you connect offices or gain a global presence. If you own a restaurant or hotel, you truly are unique. Here at SOCOM we believe in service and hospitality just like you. than just a standard phone system. platform. Inquire within to see why. Making sales is what it's all about and SOCOM can help make that happen. Get SOCOM for your business communications. 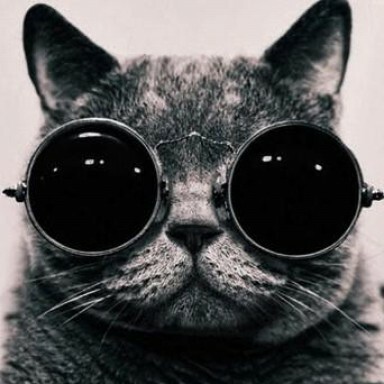 your stores and track sales campaigns. Here at SOCOM we offer three easy to understand packages that are tailored to your specific business needs. 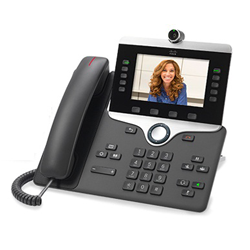 Polycom brings the world right to your desk. 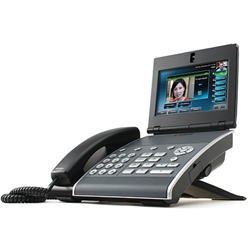 Enhance productivity with unparalleled desk phones for voice video and UC. Simplify and improve communications with Cisco small business SPA300 and SPA500 series IP Phones. Simply the best. 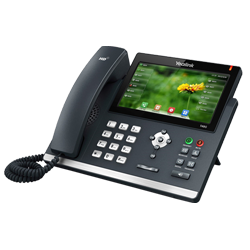 The Yealink IP Phone T2 and T4 series represent the next generation of VoIP phones specifically designed for business users who need rich telephony features. Are you an educational institution or healthcare facility? The SOCOM Crisis Management System (CMS) was built specifically for large facility needs and was designed and backed by Dr. Karen Medford PhD and Clinical Psychologist. It was designed to address two of the most critical issues with current systems today. Contact us today to learn more. Use Quickbooks? 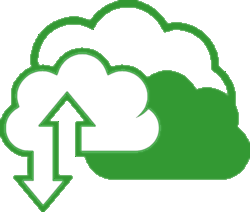 We’ve created a Quickbooks Desktop Edition cloud hosted service which allows for true multi-user mode and large file sharing. Get the most out of your Quickbooks Pro Edition whether on the road or needing multiple users to work at the same time. Purchase your stations today! Looking for a better way to manage your business processes? SOCOM’s CRM solutions are nothing short of amazing. Turning businesses into well oiled machines, our CRM integrates anything you can possibly imagine, from telecommunications to electronic signatures. Purchase your seat today! In need of I.T. Management Services? SOCOM & I.T. Solutions MSP Synergy has boots on the ground available at a moment’s notice in person for on-site workstation, server, and network support. We specialize in everything from on-call break-fix, disaster recovery, breach mitigation to major planned upgrades. Have or want to move your office to the cloud? SOCOM’s zero-day attack secure office cloud management services support most every flavor of operation systems available today, including Windows 10 Pro Workstations. Work from anywhere from any computer simply by remoting in, we manage the rest. Have a world changing idea? Let SOCOM assist you in bringing it to fruition. Our experts in software and network architecture, database and graphic design, customer user experience (UX) and project management can assist you in bringing your idea from incubator stage to market. Considering VoIP? Test Your Pipe & Contact SOCOM Today!